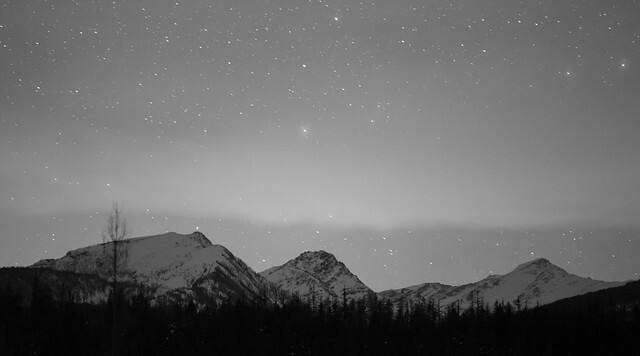 Above: Stars over the Mission Mountains, December 2016. The last minutes of 2016 have ticked away, and as I type this I’m a day deep in the beginning of 2017.I thought it would be a good time to reflect on what the past year has brought – a kind of talk-therapy via writing if you will. It was without a doubt a whirlwind of a year. All told I spent roughly half of it on the road, away from my home in Boise, in one way or another. When the year started I had no idea I’d end up spending 145 nights in travel status for work, and another 33 days away from Boise for personal reasons. While I got to see a lot of new country this year (Kentucky, North Carolina, Florida, new parts of Utah, New Mexico, Colorado and Arizona) I can say I was completely spent by the end of it all. In the end, January was the only month where I didn’t have at least a week of travel, and I was frequently gone for two weeks or more with only a few days at home in between. It all got off to an interesting start, as last January found my whole family reeling a bit as my mom went through a cancer scare over the holidays, having surgery right before Christmas, and going through the follow-up treatments around the New Year. Fortunately the treatments have worked so far, and I’m grateful for that. But even though the outcome was positive, it still shook all of us, mom and dad especially, and it reverberated through the year. Not too long into January I was offered – on very short notice – an opportunity to take a short-term detail into an aviation safety position with the Forest Service Regional Office in Albuquerque, NM, which kept me busy for the first few months of the year, learning a new job, and a new city. While I was grateful, and undoubtedly blessed to have the opportunity, in hindsight it did take a bit of a toll on me, adding stress I probably didn’t need at the time considering everything else that was going on. While I was there I came down with the worst cold/upper respiratory bug I’ve had in years, and was downright miserable for over a week. I lost my voice for good part of that time, which was something that hadn’t ever happened to me before. Let me tell you, being that sick while in a strange city is never fun. To add insult to injury, a few other events that drug me down happened at the same time – my parents had to put down their oldest dog (and I’m a dog person who spends many, many hours with their dogs), and I came up short up yet again on the “job back in Montana” front. For a few weeks, I was very much battling depression again, tired, sick, and far from from home. 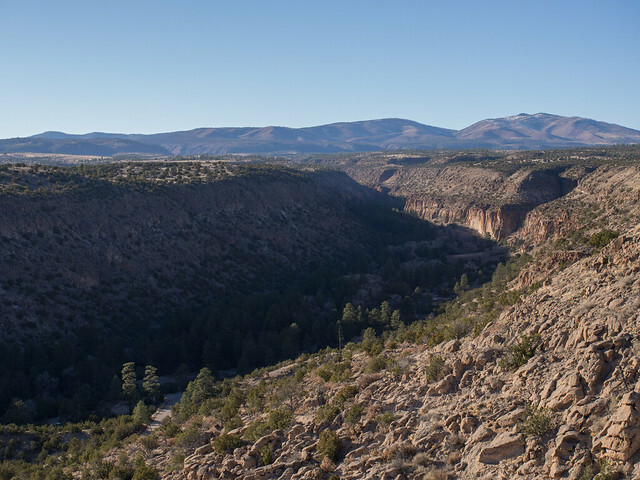 Above: Frijoles Canyon and Bandelier National Monument, New Mexico, 2016. At the end of my detail in New Mexico, I headed back north to Boise, only to head into another whirlwind bout of work-related travel, hitting Missoula for two separate week-long trips, and Denver for another week of training. In the middle of the that late-March burst of activity, I was surprised to be awarded one of the 2015 Paul Gleason Lead by Example Awards at a small ceremony in the Forest Service hangar in Missoula. It meant a lot to me to receive the award in Missoula, from a UM professor who’d received it a few years prior, and I’d worked with when I was still in school at UM. Even today I’m still humbled to share that award with many of my peers and mentors who’ve also received it. 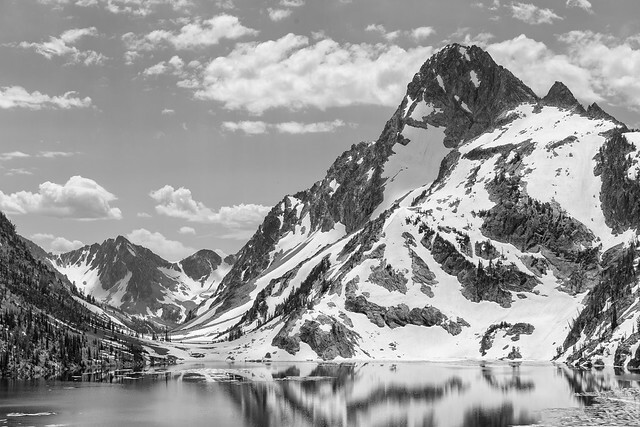 Above: Sawtooth Lake and Mount Regan, 2016. As the year rolled on, work kept me busy. Probably too busy as it turned out, as I wasn’t able to squeeze in some of the hiking and photography trips I’d wanted to. I did manage to sneak a single day trip up to the Sawtooths in late June, and a quick overnight trip to Mission Mountains in late September, but that was the extent of my recreational hiking this year. I had hoped to get up to the Sawtooths for an overnight photo trip, but the drift smoke from the long-duration Pioneer fire north of Boise kept me from pulling that off the few times I did have a day or two open on my schedule. Still, I was able to take a handful of good pictures on those two hikes, and I plan on taking more time for photography this year. Despite there not being a single part of the fire season that was particularly busy for us, it was quite steady from May all the way through the last gasps of the western fire season in September. I spent the bulk of the summer caroming around from place to place, trying to be in the right place at the right time, and was moderately successful given the conditions. The end result was a lot of long days spent on standby, waiting for something to happen that never did, or if it did, was outside of our response area. That’s fire season, and life I suppose. Sometimes you’re in the right place at the right time, sometimes you’re not. After fire season I found myself volunteering for a few side projects as time allowed, and I kept myself pretty busy while most other folks were slowing down a bit. I even managed to sneak in a fun family trip to the Swan over Veteran’s Day weekend for an early Thanksgiving get-together with family. It’s always good to get to see family these days. As luck would have it, as we were having our program year-end meeting in Boise, the southeastern fall fire season was shifting into high gear, and as Thanksgiving approached I found myself on an airplane heading to western North Carolina. As is typical of my luck, I was there for the last of the big pushes, and as I flew back home 12 days later it was beginning to rain as resources were being released. After I got back from NC, I turned right around and went to Florida for a week-long meeting, my final work trip of the year. After that, I had a week in Boise to do some frantic last-minute Christmas prep before heading to Montana for a Christmas visit with the family. I always have emotional mixed feelings around the holidays, and this year was no different. I was happy to be around family, but sad that it was such a short visit, and sad that so many of my family are dealing with their own demons. I don’t mean demons in a negative or spiritual way, but it seems like most everyone in the family has something dragging them down. My parents are dealing with health issues, some new and some old, that are challenging them every day. My sister and her family are dealing with the fallout from the death of her husbands father this year, which is never an easy process. My grandparents are dealing with health issues that come with being in their late 80s, including the death of siblings. My aunt and extended family are dealing with the sudden and unexpected death of the family patriarch, right before the Christmas holiday. It seems like no matter where I turn this time of year there’s some degree of pain and suffering in those around me. It’s also a time of looking forward, and there’s so much that remains hidden from knowing right now. Some of it looks positive, much of it doesn’t. It’s the nature of being I think. There’s always hope that year ahead will bring blessing and prosperity, but there’s always the reality that even with blessing comes adversity and challenges. So here’s to the coming year… may it bring us the strength to face it in a resilient manner. I personally look forward to overcoming adversity and achieving some measure of success as the year progresses. I have no idea what the future holds, but I’m prepared to meet it head on.